KAVANGO-ZAMBEZI Trans-Frontier Conservation Area (KAZA-TFCA) countries have resolved to adopt a scientific wildlife management system in national parks, a development which will enable the bloc to harvest or move wildlife without hindrance. The decision was made at the close of the Joint Management Committee and Committee of Senior Officials meeting in Victoria Falls yesterday. It comes on the backdrop of a ban on hunting of specific animals such as elephants and sale of ivory, which the KAZA-TFCA bloc feels is unfair. The KAZA-TFCA has arguably the biggest wildlife population especially for elephants in Africa but cannot cull or freely move them because of restrictions imposed under the Convention on International Trade in Endangered Species of Wild Fauna and Flora (CITES). This has escalated human-wildlife conflict thereby causing death of humans and illegal hunting as communities feel they are not benefiting from the natural resources. KAZA-TFCA member states namely Angola, Botswana, Namibia, Zambia and Zimbabwe wanted a common position on the matter ahead of the Conference of the Parties (CoP18) next month in Colombo, Sri Lanka. They feel scientific management of wildlife will minimise human-wildlife conflict as communities will start benefiting. The position will be ratified by Heads of State at the KAZA-TFCA Heads of State Elephant Summit set for May 7 in Kasane, Botswana. The KAZA Bloc resuscitated the Ministerial Committee after the return of Botswana that had not been cooperating with the other four countries in the last few years. Botswana, which has the largest population of elephants in KAZA with 150 000 jumbos, prepared the position paper and the other four member states adopted it as a KAZA statement. “We note with concern debate and criticism on elephant population. KAZA-TFCA is a conservation and development partnership of the five governments and the key objective is to join fragmented wildlife heritage into interconnected areas and wildlife corridors with free movement of wildlife. “It’s imperative that any programme that promotes conservation must sustain livelihoods of rural communities. We therefore call upon critics on elephant management to stop and allow the Republic of Botswana and KAZA-TFCA in general to implement policies and programmes on elephant management in a systematic management to improve species management and community livelihoods. “We further call upon the critics to provide support to sound elephant management practices in particular problems such as human wildlife conflict,” read the statement by Botswana. Botswana Minister of Environment, Natural Resource Conservation and Tourism, Onkokame Kitso Mokaila, assumed KAZA chairmanship for the next two years. 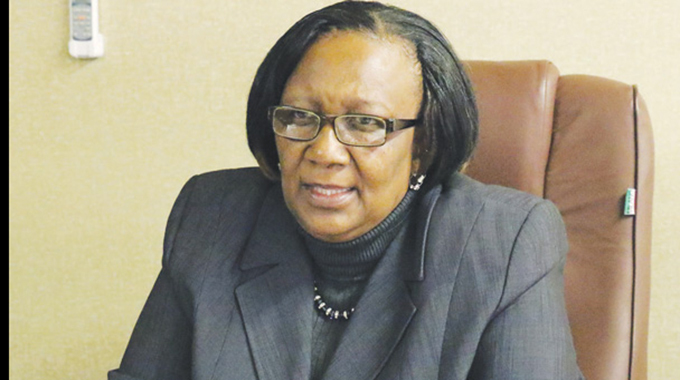 Environment, Tourism and Hospitality Industry Minister Prisca Mupfumira who co-chaired the meeting with her Botswana counterpart said while Botswana prepared the statement, it should be adopted as a KAZA position. “As Zimbabwe we also support the statement and scientific management of wildlife. We think that we should support KAZA as a grouping and that statement should be a KAZA statement because we all believe in the same. What we have all said makes it a KAZA statement so that it’s not looked at as a Botswana position,” she said. Zambia Tourism and Arts Minister Charles Banda said scientific management of animals is the only remedy to human-wildlife conflict. “I want to believe that the critics have disadvantaged us the people who own this wildlife by way of curtailing us from the use of the same natural resources. We’ve been told that we should not hunt elephants or sell ivory but if you look at what is happening today elephant numbers are growing exponentially causing a threat to human population. “The only way out is to adopt systematic and scientific control of these ever-growing numbers for purposes of reducing on human wildlife conflict and also raising finances for conservation and developing the livelihoods of the people that live within and around areas where these animals live,” he said. Namibia Minister of Environment and Tourism Bernadette Maria Jagger said scientific management is one of the best approaches to manage thousands of elephants and for communities to benefit. “Wildlife should contribute to wildlife management hence as Namibia we fully support new policies and programmes of elephant population management of Botswana to minimise human wildlife conflict. People should be allowed to go into trophy hunting and sell locally and internationally and as KAZA we should support one another when we go out,” she said. By “Scientific management “ , you mean Safari Club International and Dallas Safari Club blood money. The corruption is at the level of USFWS / Congress and everything downstream of that is a sick system. Purge all hunters from CONservation. No – scientific management across the range in KAZA with corridors to encourage movement. But, yes, limited, regulated hunting to provide income for local communities that suffer elephant damage to crops and water sources. Botswana had hunting from independence to 2014. From 1993 to 2014 00elephant numbers rose from under 60,000 to over 150,000. Namibia, with community conservancies and regulated hunting, has seen its national population increase from 7,000 to over 22,000. Kenya banned all hunting in 1977. Its wildlife numbers have fall by over 70% since then. This is not a sick system it is a system that works for wildlife and people. What is sick is the blind and ignorant opposition of well-meaning animals rights activists who have not the faintest idea of the realities of wildlife in Africa or have any respect for those who live alongside dangerous wildlife. Naive and negative, exhibiting the worst forms of old colonial mentalities – only we know what is right and Africans must listen to us. Plain stupid. Learn the truth before you rant on my site. Read Amy Dickman, Dan Stiles, David Macdonald and other leading conservations scientists and Joseph Mbaiwa of Uni of Botswana rather than animal rights research, which is campaign driven. I did not say elephant numbers in Kenya had dropped but wildlife as a whole. Even so, kenyan elephant numbers way below what they were at the time of the 1977 ban. Read things carefully before you comment. Possibly something like tariffs could bring them to our TV thinking. If they harvest elephants and other endangered wildlife, tourists and other trade goes away. They won’t get both from other nations. They don’t know the wealth they have in LIVE wildlife and keeping them alive. They don’t have meaningful technology or even universities. Your wildlife is a blessing! What a complete load of racist, uninformed rubbish. Namibia has legal hunting but also is one of the most popular high end tourism in the world, not just Africa. As for “They don’t have meaningful technology or even universities”, that is ignorant rubbish. Some of the best universities outside Western Europe and N America are found in sub-Saharan Africa. Any more offensive posts like that and you are permanently banned from this site. This space is a very positive counterpoint for those who want to get information well positioned, serving those who feel the land at their feet, survive, develop projects. Difficult to respond to comments filled with conservation fantasies, irradiated and inflamed by animal rights and welfare guidelines, which in a prejudicial way aim to impose their positions on the wild habitat and wildlife, negatively impacting genuine conservation efforts. Certain comments are, from the point of view of sustainability, a real attack on common sense. Mihares of people read more of the same, follow a doctrine and therefore tend to have a single, light and simplistic view of the serious and complex problems that the establishment of the huge TFCA – Kavango Zambezi has to face. They do not know the colossal size of this challenge, aggravated each year by the increasing population increase and its natural expansion by the search for more land, causing more HWC. And many are campaigning to boycott tourism. Inconsequential. The COP 18 SRI LANKA is coming, the common guidelines between these countries plus South Africa, formally established in bloc, will have much more force and legitimacy to safeguard their interests, countering the countries (free of elephants) that call themselves protectors of the species. Another idea is to have these hunters pay instead to hunt the poachers This must create a thrill for them and the poachers are not innocent of crime unlike the wild animal.They could fire taser guns as I am opposed to the death penalty!! I would like some official to say what will the revenue raised be spent on. I’m not prepared to have this abusive and shouty behaviour with anyone believing in sustainability described as effectively abnormal. As for your idea of hunters paying to hunt poor people forced to poach by need, that is totally unacceptable and you are banned forthwith.